"Koriander Cuisines was the best caterering option I could have chosen. I talked to many other caterers before reaching out to Koriander, and none of them provided the personalized and attentive service that I received while working directly with the owner David at Koriander. He met with me personally to discuss my budget and vision for the event, and he was ever so vigilant on email in helping me with any question that arose. The event we had with Koriander turned out to be one of my favorite nights, and it was all thanks to Koriander!" "Five star food and service. Dave and Nirvana Kacala and their staff at Koriander Cuisines did such an amazing job Friday night with superb service and excellent food. All well planned and beautifully presented. 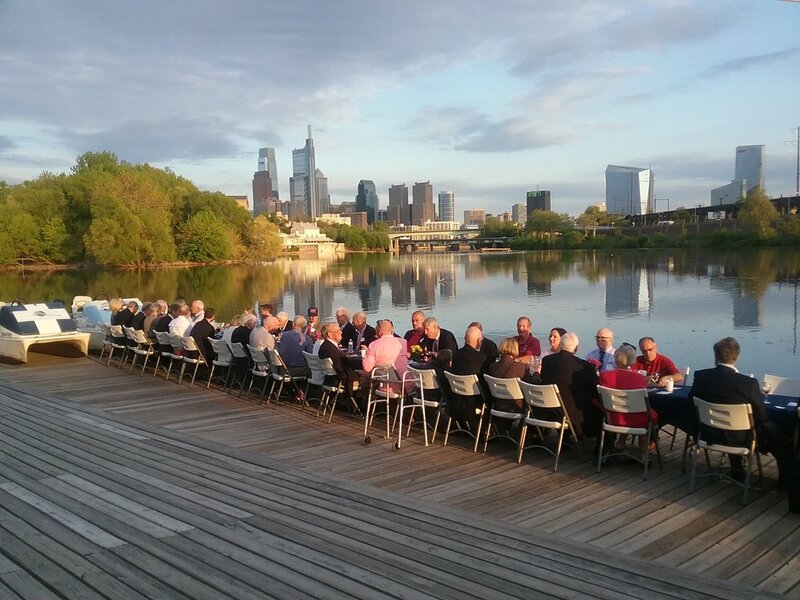 What a wonderful celebration with the cocktail party at the Penn Boathouse and that wonderful dinner al fresco on the dock at University Barge Club. I am getting so many emails about how much everyone enjoyed themselves. I very highly and without reservation recommend Koriander cuisines for any event large or small. They were just wonderful to work with." "Koriander Cuisines was a recommendation given to us by a dear friend who works as a party coordinator. Our event was a high school graduation celebration with plans to invite 150 family members and friends (ages ranged from five years to eighty-six years). I am so appreciative of the customized support given to us by David Kacala. David was able to suggest menu options that appealed to all ages. He had wonderful ideas for interactive food stations placed in various locations throughout our rented facility. He even suggested a mocktail option to provide a celebratory non alcoholic beverage for the high school students. We then met on-site to review specific plans. Koriander provided all of the tables, chairs, linens, and dishware needed at our event. David took complete control of set up, meal prep, serving, bar-tending, and clean up. His staff was punctual, polite, and pleasant. All I had to do was show up and enjoy being with our guests. I wish that our event was longer and that I had more time to eat all of Koriander’s delicious foods. Everyone commented on the excellent taste and varied buffet options. David Kacala worked within our budget and delivered a truly memorable meal and party. We strongly recommend Koriander Catering for any type of event. "